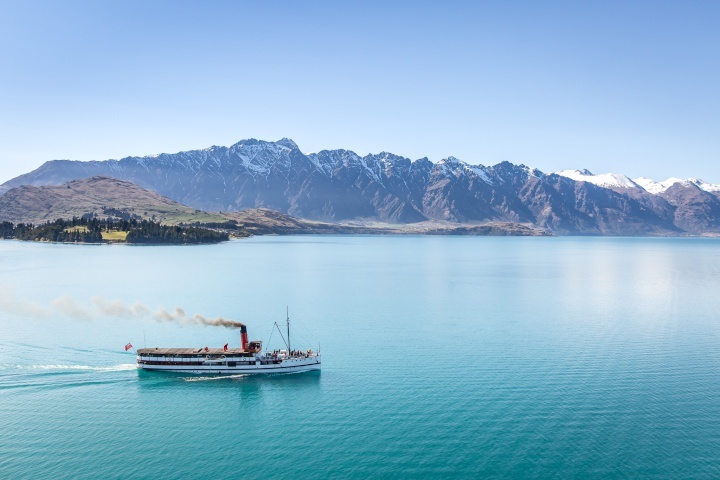 The heritage sites were nominated by councils and community organisations through the region for their special significance to New Zealand, high level of presentation, experience they offer and storytelling potential. A special plaque has been made for the TSS Earnslaw, and a ceremony will be held next year. Arrowtown and Arrowtown’s Chinese Settlement, the Kawarau Gorge Suspension Bridge, Hayes Engineering Works, Otago Central Rail Trail, Dunedin Railway Station, Historic Oamaru, Larnach Castle, Olveston, Totara Estate, Bannockburn Sluicings and the Taieri Gorge Railway are the other Otago sites. Otago is the second region to become part of the Landmarks Whenua Tohunga programme – a partnership between New Zealand’s Ministry for Culture and Heritage, the Department of Conservation and Heritage New Zealand to promote the country’s historically and culturally important places. Find more from Real Journeys on InfoPages.